White Plains, NY – April 26, 2017 – Westchester County Executive Robert P. Astorino met with guide dog users and advocates in recognition of International Guide Dog Day. Guiding Eyes for the Blind and Westchester Council of the Blind received proclamations from Mr. Astorino in honor of International Guide Dog Day.
. The president of Guide Dog Users of the Empire State and the Director of the Office for People with Disabilities for Westchester County were also present, joined by a County employee who is a guide dog user and two other guide dog teams, also Westchester residents. 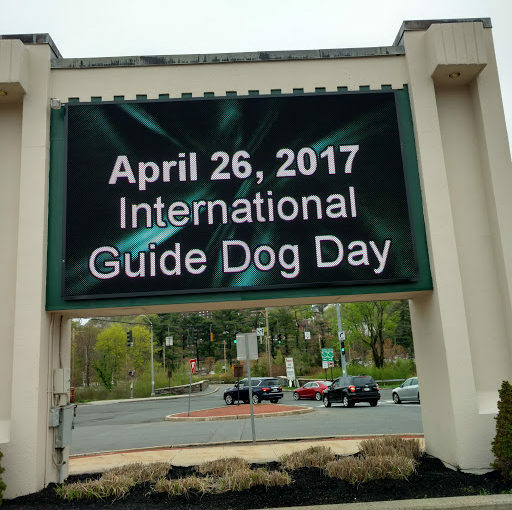 Additionally, throughout the day on April 26, the video screen at the Westchester County Center will be flashing an announcement and New York State offices in other counties will be turning the building lights blue and white to support guide dogs. “We want to thank Westchester County for helping us recognize just how special our dogs are,” says Annie Chiappetta, President of Guide Dog Users of the Empire State. Ms. Chiappetta goes on to say that anyone can help celebrate by supporting activities and charity drives in your area that donate to local guide dog schools, like Guiding Eyes for the Blind, or organizations that support breeding, training and matching guide dogs with visually impaired individuals. What does making craft beer and supporting guide dogs have in common? Hmm, still thinking? Dog treats, of course. 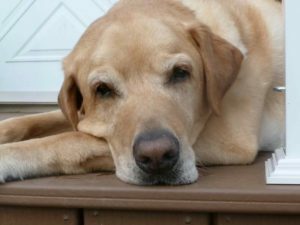 Thanks to a retired guide dog, his former partner and a puppy raiser, we found a New York based dog treat maker who wants to help us by donating up to 40% of treat sales back to GDUES. Hungry Hound Beerscuits are made with fresh, human grade ingredients like barley, pumpkin, eggs, and peanut butter and baked to a yummy crunch. Malverne, NY — February 23, 2016, a new chapter of the ACB of New York was granted a charter. Guide Dog Users of the Empire State (GDUES) numbering twenty three members, becomes the ninth regional special interest chapter of the American Council of the Blind of New York. GDUES is the first guide dog user’s chapter in New York to be chartered since another group separated from the State affiliate many years ago. “This is an exciting time for us. GDUES will fill a much needed voice at the State level,” says Annie Chiappetta, the chapter president. Chiappetta hopes the new chapter can work on recent imposter service dog issues and legislation and become a support for guide dog users throughout the State. Guide dog users often face access issues and other barriers despite Federal laws protecting them from such discrimination. Chiappetta says that a website will be launched in late April and the group’s Facebook page is already active. To view the GDUES Facebook page, click here!